Ave Fenix fire station was developed on a plot that had suffered from a tragic fire. 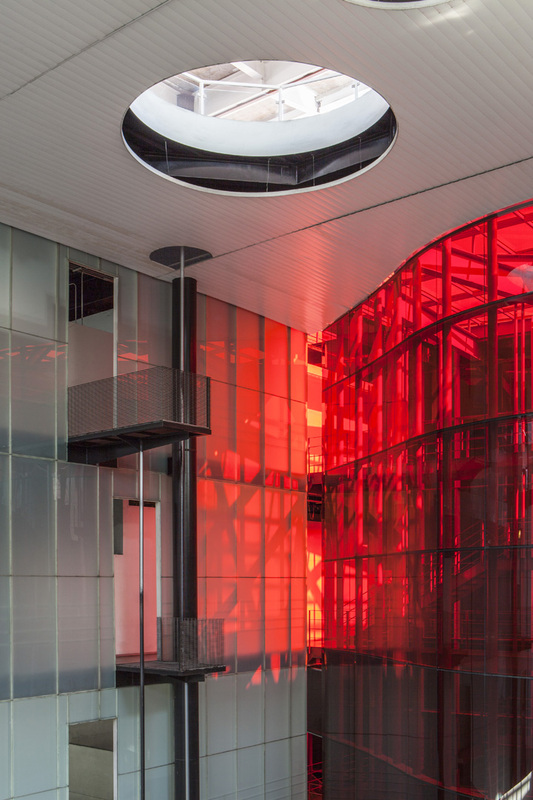 It was conceived as an urban landmark, not only to function as a fire station but also a leading training academy and centre for the community. 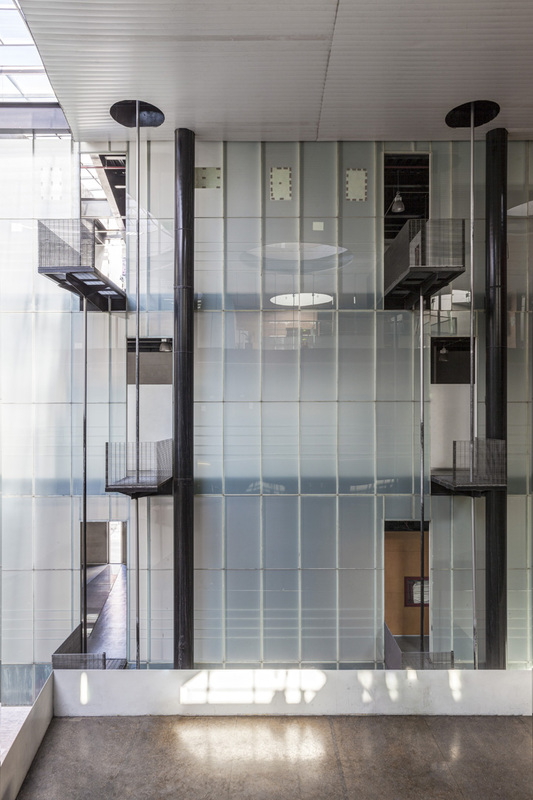 The building’s exterior façade is a solid aluminum box with glass strips to create a random light display at night. This construction rises up from street level and creates an open space to the public, revealing the fire station’s forecourt and parking bays. 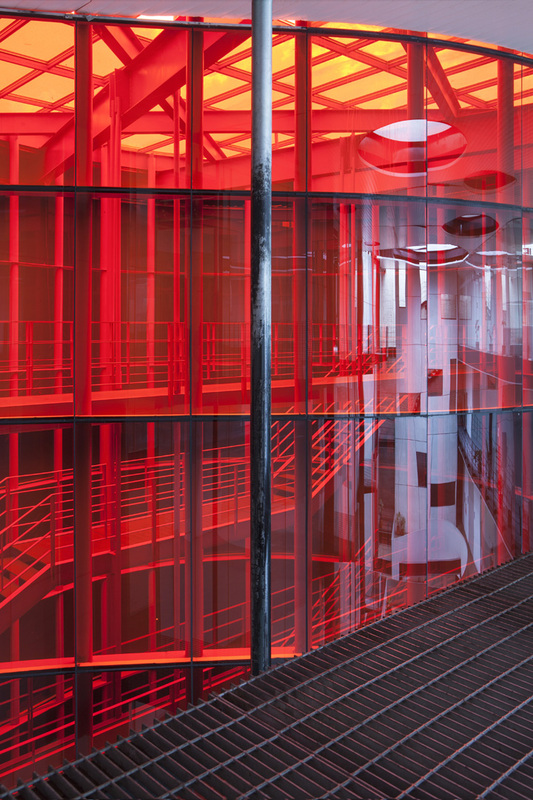 A drop-shaped stairwell clad in red glass contains the main staircase and symbolizes the fire, while several other openings in the roof provide ventilation and lighting for the building’s interior. Exterior view. Ave Fenix, Mexico City, Mexico. Architect: BGP Arquitectura, 2010. Detail hydrant. Ave Fenix, Mexico City, Mexico. Architect: BGP Arquitectura, 2010. Stairway view. Ave Fenix, Mexico City, Mexico. Architect: BGP Arquitectura, 2010. Ceiling detail. Ave Fenix, Mexico City, Mexico. Architect: BGP Arquitectura, 2010. Interior view. Ave Fenix, Mexico City, Mexico. Architect: BGP Arquitectura, 2010. Wide angle view. Ave Fenix, Mexico City, Mexico. 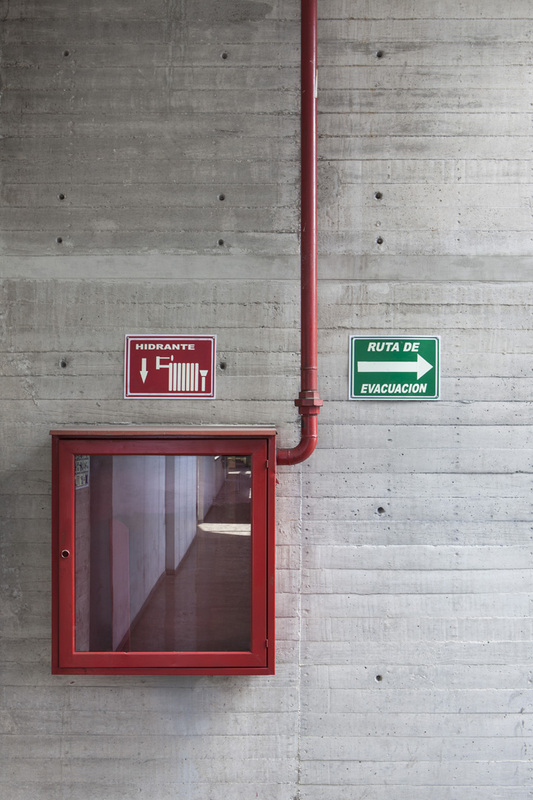 Architect: BGP Arquitectura, 2010.